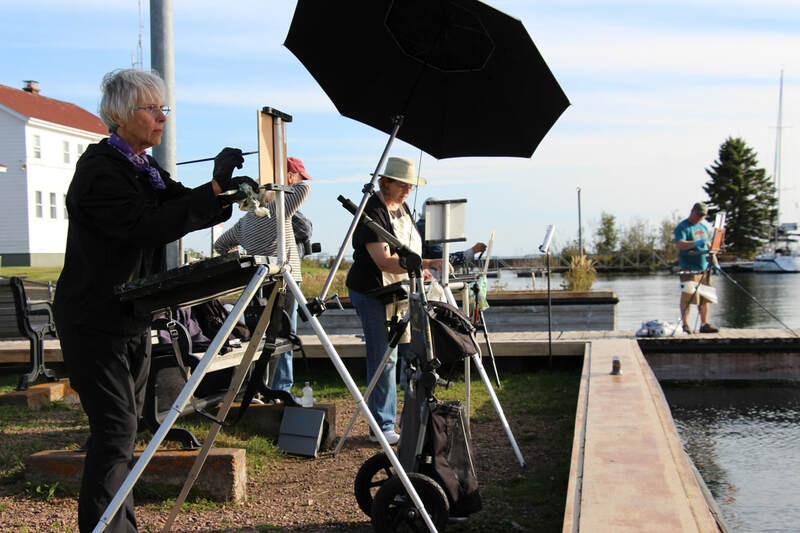 Plein Air Grand Marais is a 16 year tradition bringing outdoor painters to the North Shore of Lake Superior for a week of painting, competition, learning, and camaraderie. 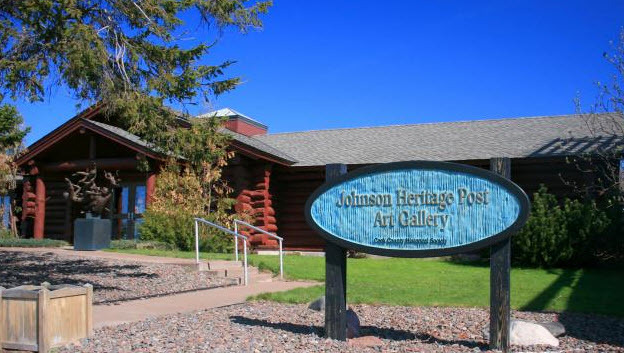 Beginning in 2018, the event is organized by Outdoor Painters of Minnesota together with the Cook County Historical Society's Johnson Heritage Post Art Gallery. Fifteen professional plein air painting instructors competing in the event will offer a 3-hour workshop during the week of competition. This was a popular success in 2018 that we hope will continue to draw painters of all levels to Grand Marais during the event to watch, learn, and get inspired. This year we will offer advance orders of cerulean blue artists' aprons plus t-shirts in men's and women's relaxed-fit sizes. We have a few women's t-shirts and totes left from 2018 as well. Purchase options will be posted soon. Painters may paint anywhere legal and safe within Cook County to be eligible for Competition and Open Class exhibits, but artists and visitors alike enjoy knowing where to find painters during Competition Week. We work with community partners and award sponsors to provide a list of recommended painting locations and schedule daily paint-outs in some of the most scenic places on the North Shore. Plein Air Grand Marais will expose artists, visitors, and community members to a broad spectrum of opportunity to learn from the masters while exploring techniques of outdoor painting. Community paint-boxes will be available at local sponsor Joy & Co. for anyone to create a painting for public display in a "picket-fence gallery." 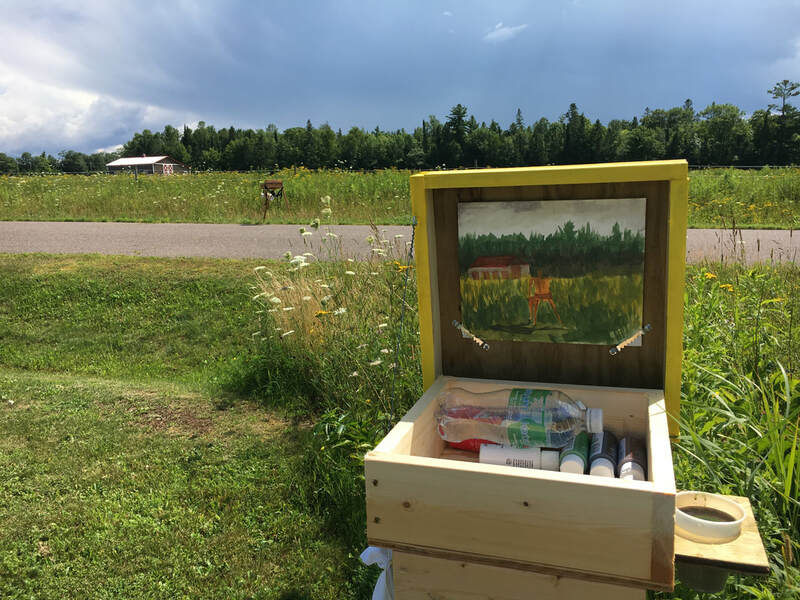 ​A children's plein air painting activity also will be supervised at Joy & Co.
Plein Air Grand Marais is more than a painting competition: it is an opportunity for artists of all levels to socialize, learn, make new connections and enjoy conversations, food and drinks together. 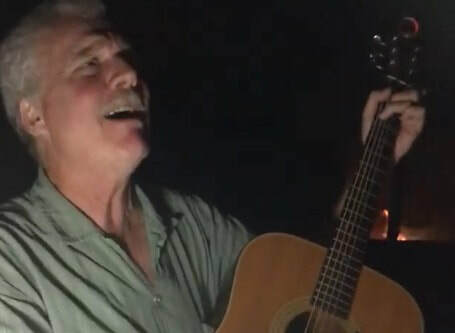 Watch for the 2019 schedule including bonfire social at Neil Sherman's, west-end bonfire social at Sugarloaf Family Cabins, and happy hour gatherings at local restaurants and other sponsors.